Hand-colored postcard, c. 1908. Carrollton provided the inspiration for the town of Hargrave in Berry’s fiction; the central scene in “Fly Away, Breath” takes place in 1907 in the fictional town of Port William, ten miles away from Hargrave. Image courtesy of Northern Kentucky Views. 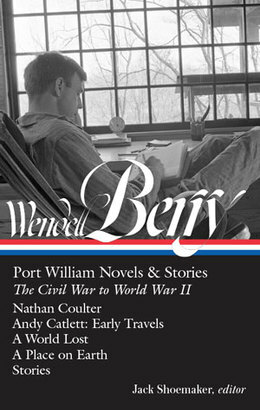 I’ve spent a good deal of time this winter writing another little novel called A Visit to Port William [published in 2006 as Andy Catlett: Early Travels], and it has two points of view: the point of view of Andy Catlett at the age of nine, and the point of view of Andy Catlett as a man of my age. It deals with the difference between the mind that thought a four-mile-an-hour team of mules was going quite fast enough and the mind that leans against the bulkhead of an airplane and pushes at 500 miles an hour. 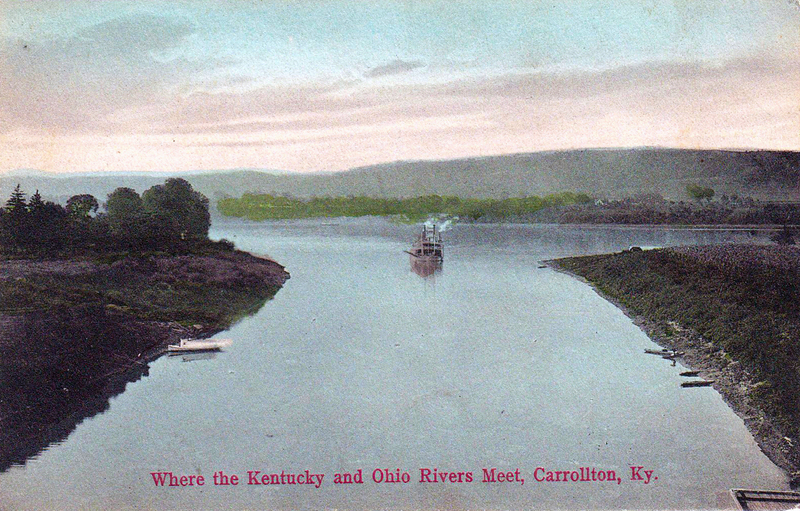 Several members of the Catlett family and of its various branches populate Berry’s novels and stories, all of which take place in and around the fictional Kentucky town of Port William. Spanning five generations and two centuries in just seven pages, the story “Fly Away, Breath” also experiments with point of view to present one of those “landscapes where wholeness seems in reach.” In the first decade of the twenty-first century, Andy re-creates a scene from a hundred years earlier, when his grandmother and her three sisters attended to their 93-year-old grandmother on her death bed. He “imagines his way into” this ancestral past, using as his raw material “the relics and scraps of memory” passed down to him. With some significant differences, Andy Catlett’s life is like my own. The likeness enables me, in fiction, to bear witness to my time and place. The differences between his life and mine make my testimony subject to imagination rather than merely to the factuality of my life, which, apart from imagination, would be a bore. As a fiction, a story does not have to be submitted to the burdens of a tedious pursuit and gathering of facts, or to the risk of factual error and triviality, or to apology for forgetting facts. However, in my fiction as in my essays, I have always tried to be true to the facts of history, natural history, work, tools, economy, and economic life. Once that condition is met, I see nothing inherently wrong in asking one genre to do the work of another. I am slain by a fair cruel maid. . . .
Andy Catlett keeps in his mind a map of the country around Port William as he has known it all his life and as he has been told about it all his life from times and lives before his. . . . If you don't see the full selection below, click here (PDF) or click here (Google Docs) to read it—free!